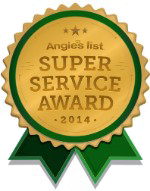 Call us at 919-942-8701 today. 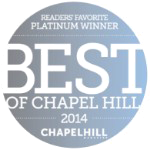 Chapel Hill Ophthalmology Clinic, PA, established in 1973, is a practice of board certified ophthalmic physicians (Eye MD’s) serving the cities of Chapel Hill, Durham, Hillsborough, the Research Triangle Park and surrounding areas. Our physicians: John Wood, MD and David Haas, MD deliver complete, state of the art eye care in a personal community based setting. Along with a well trained and professional staff, we accommodate patients of all ages and evaluate all ocular and ophthalmic conditions. We also provide routine eye examinations including contact lens evaluation and care, and we have a complete optical boutique and lab for all of your eyeglass needs. 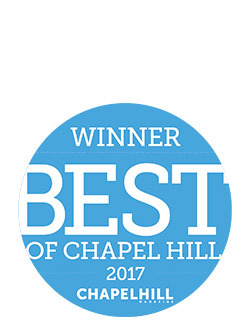 We, the team of Chapel Hill Ophthalmology, are committed to excellence in patient care and the development of relationships with the residents and visitors of Chapel Hill and the surrounding areas. Our website is designed to let you know more about us, our physicians, and about the services that we offer. Additionally, we have included information about various types of eye conditions and procedures. We appreciate our current patients, we welcome new patients and visitors to our website. If you have any questions, or there is anything we can do to help, please feel free to contact us. 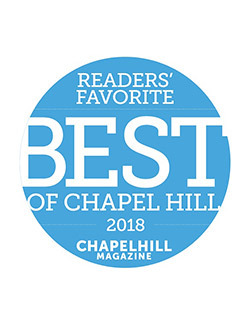 At Chapel Hill Ophthalmology, our team is committed to excellence in patient care and to the development of relationships with the residents and visitors of the Chapel Hill area. With an emphasis on quality eye care, we are committed to uncompromising service to our patients and the communities we serve, as it will be the standard by which the success of our practice is measured. Our eye care services extend beyond routine exams, eyeglasses and contact lenses, to cataracts and blade-less laser cataract surgery, premium lens replacement with cataract removal, retina, glaucoma, pediatric, and refractive surgery, All-Laser Vision Correction and IntraLase™ Custom LASIK, BOTOX® , Juvederm®, and the treatment of Eye Floaters, as well as evaluation and treatment of Dry Eyes. Board Certified Ophthalmologists providing custom cataract surgery utilizing the latest in state of the art intraocular lenses and laser technology.